The three-wheeled Solo has a base price of just below C$20,000. 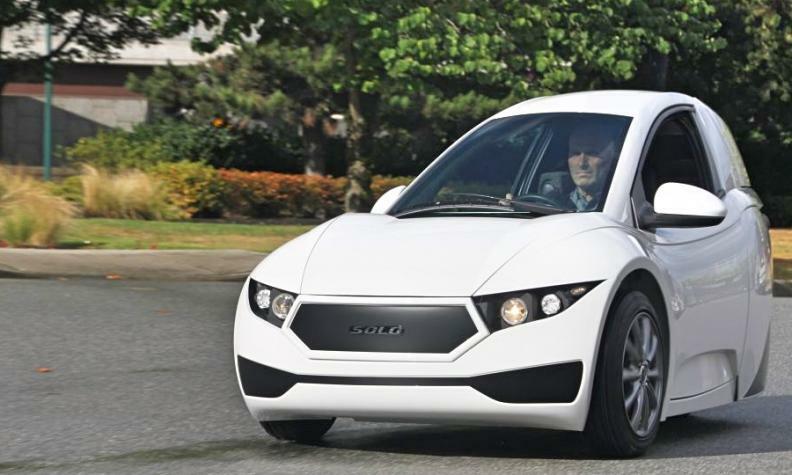 VANCOUVER –– Electra Meccanica has announced a US$10-million public offering and a NASDAQ listing to raise capital to fund volume production of its Solo single-seat electric car. The Vancouver-based maker of the three-wheel EV said in a news release it is offering 2,353,000 units, consisting of one common share and two warrants to purchase a common share each, at an offering price of US$4.25, for a total of just more than US$10 million. The offering is expected to close Aug. 13, 2018. The common shares and warrants will trade on the NASDAQ Capital Market under the symbols SOLO and SOLOW respectively starting Aug. 9, the company said. The warrants can be exercised immediately and have a term of five years. Electra Meccanica currently has shares trading on the U.S. over-the-counter market. Electra Meccanica said it intends to use the net proceeds from the offering for plant, equipment, production molds, inventory, sales and marketing associated with mass production of the Solo by Zongshen Industrial Group Ltd. In mid-July the automaker received its first production model of the vehicle built in China. The fledgling automaker in July 2017 signed a volume production deal with Zongshen, which will eventually produce 75,000 Solo battery-electric vehicles for the electric vehicle startup. The agreement calls for Zongshen, based in Chongqing, to produce 5,000 of commuter vehicles in this year, 20,000 in 2019 and 50,000 in 2020. The company is producing limited numbers of the Solo at its suburban Vancouver plant but said it expects deliveries from the Chinese plant by this fall. The Solo, with an asking price of just under C$20,000, has a claimed range of 160 km. In May, the company won long-awaited U.S. certification of its vehicle and shipped its first unit to an unidentified customer in Los Angeles. In America, the Solo is priced at US$15,500.